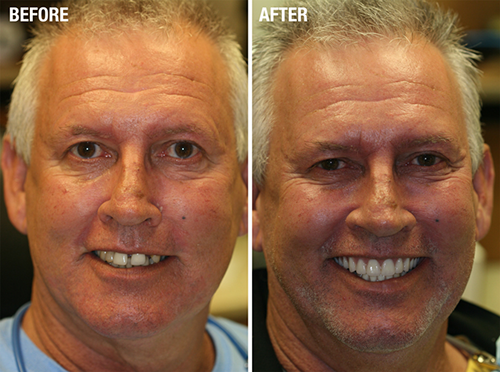 All men and women strive to perfect their smile and one way to do that is with dentures. With so many options for replacing broken, damaged, decayed and missing teeth, it can be difficult to determine which dentures will be the best fit for you. For those patients looking to replace a large group of teeth, a full arch of teeth, or a full set of teeth, dentures are the logical choice. Put simply, dentures are devices that are used to replace a large group, a full arch or a full set of missing teeth. Dentures typically fall into two categories, full and partial. The partial denture is used to replace anywhere from a single tooth to a group of teeth, and full dentures are used to replace a full arch or a full set of teeth. Dr. Burpo will explain all the denture options and discuss which is right for you.